Group News Blog: Coming to a Theater Near You: Oregon-- Swing State or Crazy, Hippie Commune? Coming to a Theater Near You: Oregon-- Swing State or Crazy, Hippie Commune? As we sit here, just before the Oregon Primary-- folks are wondering, "What the heck is with those Oregonians?" 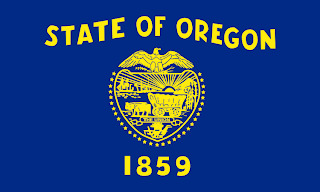 Blue Oregon gives us some great background info and numbers to get to know this quixotic state a bit better. There are two ways to be a swing state. One is to have a lot of moderates. That doesn't really describe Oregon; a moderate state like Ohio would never pass an assisted suicide law. The other way is to have both a lot of conservatives and a lot of liberals, who happen to roughly balance one another out. Oregon is one such state. Digging into the math, they explain that Oregon's Kerry voters were the most liberal Kerry voters in the country; while Oregon's Bush voters were the most conservative Bush voters in the country.